If the rain will hold off, awareness of HPE will be spread throughout the northeastern part of Indiana today. Today is opening day of the 2011 racing season at Baer Field Speedway in Fort Wayne, Indiana, and Late Model driver Josh Timmerman will be driving his #09 Chevy Impala which bears the Families for HoPE logo on its hood. 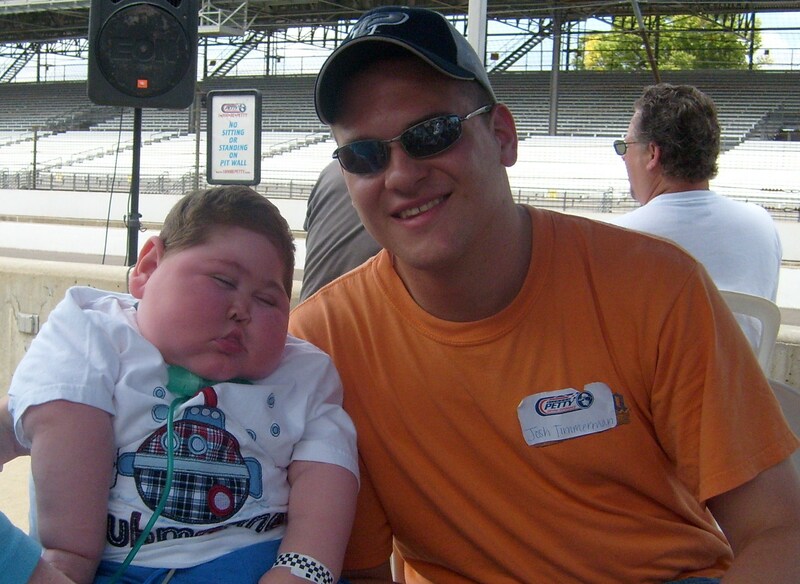 Families for HoPE has been partnering with Josh since 2006 when he approached the organization about using his race car as a vehicle for raising awareness of HPE. Debbie Timmerman, Josh’s mom, was a home health nurse to Sammy Harley who was born with HPE. If the rain holds off, Josh will be racing for HoPE again today!